I was a couple of days into my own Burger Week, following the recent passing of Ms. Anne, and ready for another burger. I have absolutely no idea where I heard about the burger at Augustine’s. That is a rare thing for me – I usually remember what put some place on my list, or where I read about it. But this one was just there. As I was heading to a concert at Variety Playhouse, I was in the neighborhood (on Memorial Drive, near Daddy Dz) and thought I’d give this place a try. They have a Monday night dart league. They have Wednesday night bocce ball league. And they have a wide selection of beers on tap (there are at least 25 listed on the web) and at least as many more in bottles and cans. 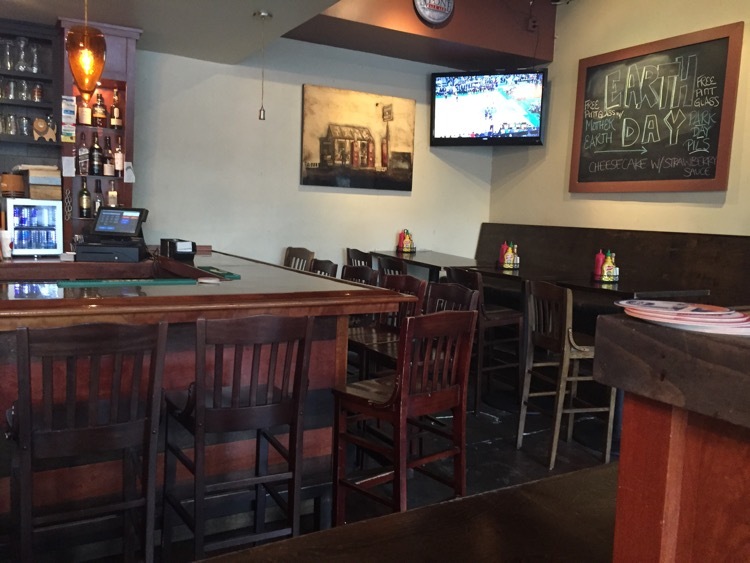 From a food standpoint, they have a fairly large menu for a bar, featuring seven burgers (that you can also get as turkey burgers, black bean burgers or rosemary grilled chicken sandwiches). 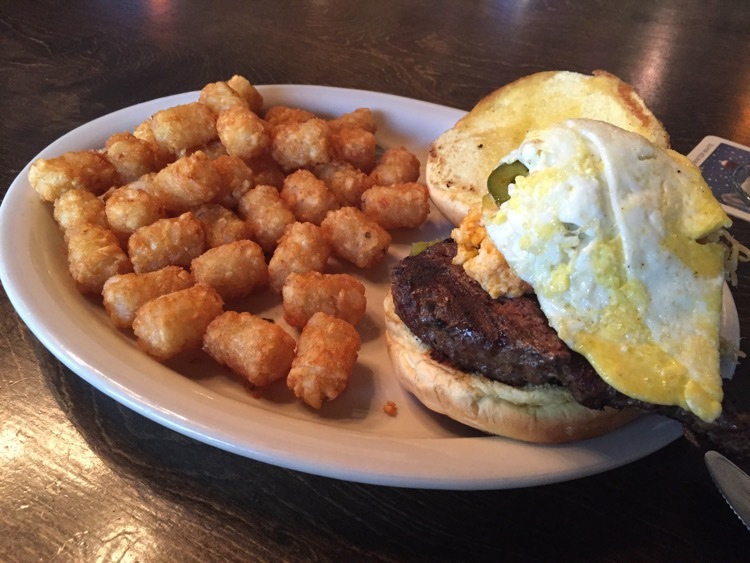 The House Favorite – pimento cheese, bacon, a fried egg and pickled jalapenos, served with tots. I thought to myself, “how could you go wrong with this?” I didn’t. The burger was cooked just as I requested, and the pickled jalapenos mixed with the pimento cheese perfectly. This was a well made burger. I may need to go back and try one of the others – it would not be a sacrifice, in the least.